St. Louis Federal Reserve President and FOMC voting member James Bullard said on Monday that the global markets are well prepared for a summer rate hike. He spoke at a conference in Seoul on Monday, but refrained from specifying any dates. His comments follow a similar speech by Janet Yellen earlier. 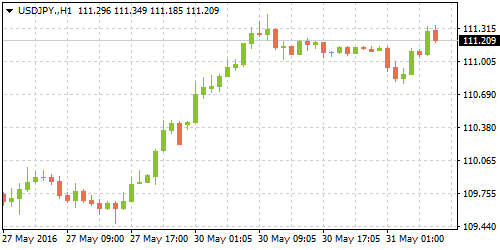 The Japanese yen weakened considerably in early Asian trading yesterday largely from a hawkish speech from Fed Chair Janet Yellen on Friday, boosting the US dollar. 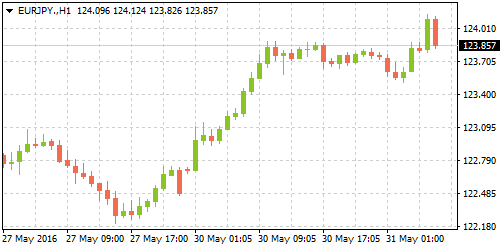 On the other hand, according to reports from the Nikkei, Japanese Premier Shinzo Abe decided on Monday to delay the planned consumption tax hike by two and a half years, until October 2019. Initially, the sales tax hike was planned to be hiked from 8% to 10% in just April of 2017. On Friday, monthly consumer price index data from Japan showed that BoJ's gauge of CPI falling to 0.90% from 1.10% in March. The French economy continued to expand at a healthy pace in the first quarter of the year. The second estimates for the first quarter GDP showed an upward revision from 0.50% to 0.60% on a quarter over quarter basis, data from French statistics agency INSEE showed on Monday. On a year over year basis, French GDP was higher at 1.40%, up from previous estimates of 1.30%. The upbeat GDP report comes on the back of Friday's consumer confidence gauge, which surged to the highest level since 2008. However, consumer price inflation and French jobless rate remained mixed. The ILO unemployment rate in France was at 9.90% in the first three months of the year, showing no change in the period. Consumer prices in Germany rebounded in May by a small margin offsetting the declines in CPI from the previous month. 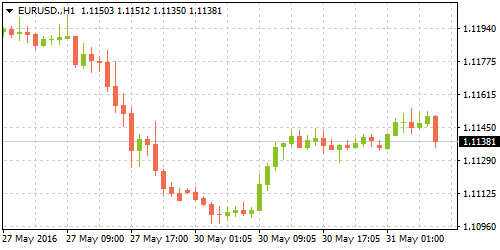 Germany's consumer price index inched higher by 0.10% on a year over year basis after falling -0.10% in April, data from German statistics agency Destatis illustrated. 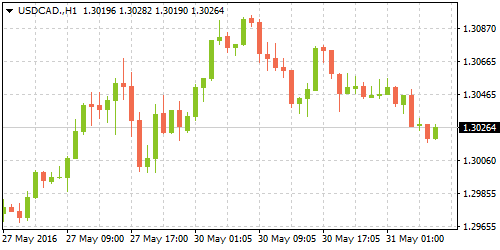 Another measure called the Harmonized Consumer Price Index was unchanged in May after falling -0.30% in April. The HICP was expected to rise 0.30% for the month. On a month over month basis, German HICP was up 0.40%. Economic growth in Canada is expected to continue with its uneven pace in the first quarter. The economy expanded 0.80% in the fourth quarter of 2015, marking a second consecutive period of expansion. Economists are looking at another strong quarter with growth expected to rise 2.80% in the first three months of the year. A match on the estimates could see the strongest quarterly growth since 2014. On a monthly basis however, Canada's GDP is expected to stay flat.